I find this quote to be interesting in its logic. From today’s perspective, how applicable is it to our economic problems, the context in which President Obama was referring to? What separates this period of economic weakness from those that have preceded it is its complexity. This entry was posted in Uncategorized and tagged President Obama on September 30, 2011 by Ted Kavadas. Since the S&P500 highs of early May and early July I have written a variety of posts warning of what I considered cautionary signs for the stock market. I still believe that we will see a near-term low in the S&P500 below that August 9 low of 1101.54. Additionally, the stock market “price action” feels very “unsettled” to me, and, as such, I think the “danger” here is rather high. My analysis indicates the main underlying driver of the peril continues to be “deflationary pressures” as I have mentioned recently, such as in the aforementioned August 29 post. This entry was posted in Investor, Stock Market and tagged S&P500, Stock Market on September 29, 2011 by Ted Kavadas. I am continuing to monitor Gold’s correction very closely, for many reasons including those indicated in the aforementioned August 25 post. This entry was posted in Investor and tagged gold on September 28, 2011 by Ted Kavadas. 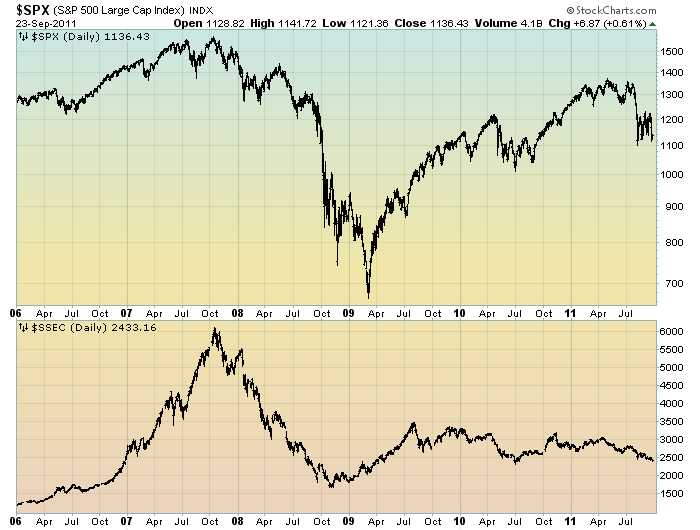 It is notable that the Shanghai Composite led the SPX (S&P500) significantly in late ’08 – early ’09, yet it has been declining lately. This entry was posted in Investor, Stock Market and tagged S&P500, Shanghai Stock Exchange Composite Index, Stock Market on September 26, 2011 by Ted Kavadas. 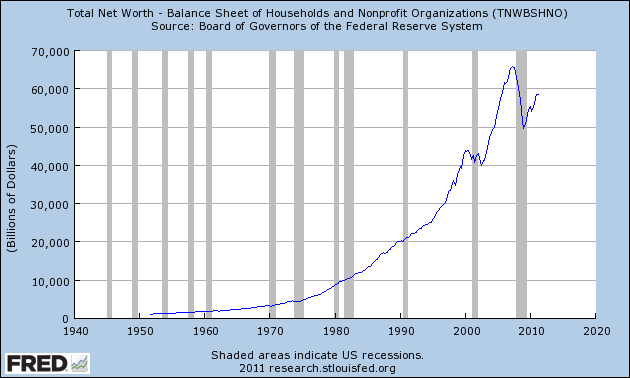 In the September 18 post (“Total Household Net Worth As A Percent Of GDP 2Q 2011“) I displayed a long-term chart depicting Total Household Net Worth as a percentage of GDP. 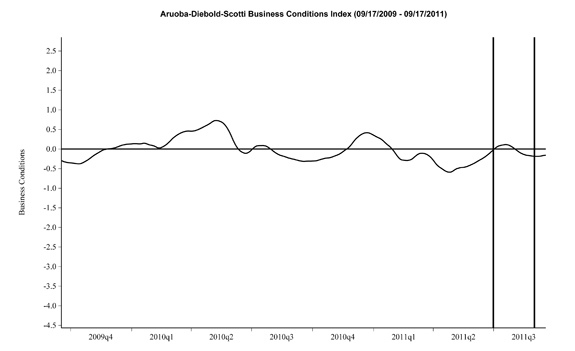 The above chart was last updated as of September 16, 2011. This entry was posted in Uncategorized and tagged household net worth on September 23, 2011 by Ted Kavadas. Yesterday (September 21) MacroMarkets released its September 2011 Home Price Expectations Survey (pdf) results. This survey is now done on a quarterly basis. The survey detail is interesting. Of the 111 survey respondents, 20 (of the displayed responses) foresee a cumulative price decrease through 2015; and of those 20, only four foresee a double-digit percentage cumulative price drop. Mark Hanson remains the most “bearish” of the survey participants with a forecast of a 22.03% cumulative price decline through 2015. The Median Cumulative Home Price Appreciation for years 2011-2015 is seen as -2.53%, -2.62%, -.84%, 1.99%, and 5.44% respectively. For a variety of reasons, I continue to believe that even the most “bearish” of these forecasts (as seen in Mark Hanson’s above-referenced forecast) will prove too optimistic in hindsight. Although a 22.03% decline is substantial, from a longer-term historical perspective such a decline is rather tame in light of the wild excesses that occurred over the “bubble” years. 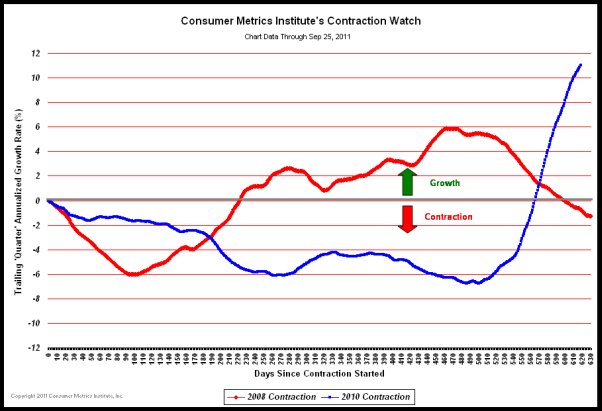 This entry was posted in Real Estate and tagged MacroMarkets, Real Estate, real estate bubble, residential real estate on September 22, 2011 by Ted Kavadas. The Greater Chicago Food Depository has, for the first time, done a neighborhood-by-neighborhood breakdown of hunger in the Chicago area. As WBBM’s Mike Krauser reports, some of the numbers are staggering. The numbers are growing—and about 20 percent of Chicagoans are hungry, a new analysis found. As CBS 2′s Derrick Blakley reports, the report found nearly 850,000 people in Cook County aren’t sure where their next meal is coming from. At St. Sylvester’s Pantry in Logan Square, the story’s much the same. Three years ago, they served 225 families. Now, they serve more than 800. Overall, the Chicago Food Depository says visits to food pantries are soaring, up 58 percent in the last three years. This entry was posted in Uncategorized and tagged food assistance, food bank on September 22, 2011 by Ted Kavadas. 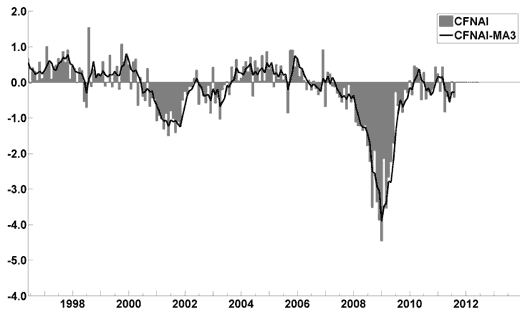 The data was last updated September 1, 2011, reflecting June 2011 levels. Here is a table showing various monthly statistics with regard to National Level participation and costs going back to FY2008. As seen in this table, the number of people participating as of June 2011 is 45,183,931, up 9.46% from year-ago (June 2010) levels. As a reference point, the figure as of June 2009 (the official end of the recession as defined by the NBER) was 34,882,031. Longer-term annual data is also available. This entry was posted in Uncategorized and tagged food assistance on September 21, 2011 by Ted Kavadas. The article contains a variety of forecasts and commentary regarding the stock market and earnings. Goldman Sachs last Wednesday ratcheted down its end-of-year prediction for the S&P 500 to 1250, from its previous forecast of 1400. Last Monday, Wells Fargo dropped its forecast to 1250 from 1390. And on Friday, Citigroup lowered its target to 1325 from 1400. The S&P 500 ended last week at 1216.01, which leaves most of the predictions still looking relatively bullish. Strategists on average expect the S&P 500 to end the year at 1309, according to Birinyi Associates—a rise of 7.6% from Friday’s close through year end. At the beginning of 2011, strategists were looking for an 8.5% gain for the entire year, predicting a year-end close of 1365. Consensus earnings estimates for the S&P 500 companies this year fell below $100 a share last week, according to S&P Capital IQ, down from $100.31 on Aug. 24. For the past few years, analysts have mostly been right to stay optimistic; strong company earnings have been a big driver of the S&P 500’s 75% rise from March 2009. To be sure, the consensus forecast for annual per-share earnings of $99.91 is still bullish, reflecting confidence that the economy can avoid a double-dip recession. In 2010, S&P 500 earnings were $84 a share, according to Barclays. But the falling forecasts indicate that even the most sanguine analysts are starting to worry about the burdens of a sagging economy and policy uncertainty. This entry was posted in Investor, Stock Market and tagged S&P500, S&P500 Earnings, Stock Market on September 20, 2011 by Ted Kavadas.